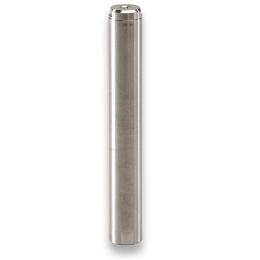 The CD42-T3 is the slimmest transmitter in the industry, measuring in at 6.3" long and only 0.875" in diameter. Weight is a mere 13 ounces! 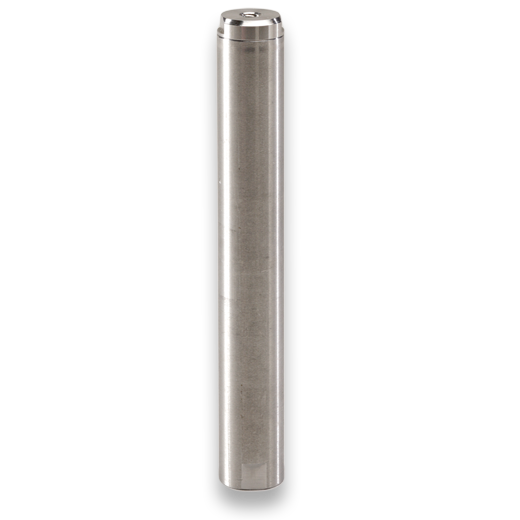 Designed to fit inside the smallest 2 and 8 inch pipeline pigs, the CD42-T3's rugged stainless steel housing is compatible with hyrdrocarbons, ammonia and most cleaning chemicals found in pipelines. Operating pressure is rated at 2,500 PSI [172 bar] with a standard battery life of 110 hours that may be extended by slowing the transmission pulse rate. The tiny computer in the CD42-T3 allows you to switch between two stock transmission patterns, or if you're tracking a train of pigs the transmitter can be factory programmed to create any number of unique and easily identifiable patterns.